5 cooktop elements Provide 80-3700W of power to meet various cooking requirements. Ceramic cooktop surface Offers a durable design. Accommodates multiple dishes in 2 separate ovens 4.4 cu. ft. lower oven and 2.3 cu. ft. upper oven allow you to cook dishes at different temperatures. 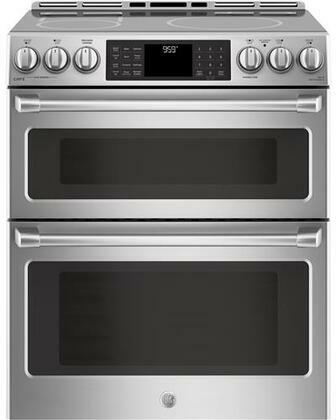 Safety features Include control lock, residual heat indicator and self-clean oven door lock.